Do you know what the formula for a perfect vacation is? We are sure that you do, but when the time to go on a holiday comes, many questions arise in your mind, right? Probably you begin to wonder where exactly to go, as well as what price you are ready to pay and if it worth… These are quite normal questions considering all the attractive offers on the tourist market and the beautiful destinations that all seem perfect for your much-awaited holiday! It rings a bell, right? Visit the land of the thousand islands – Croatia! This incredible holiday destination is hiding many amazing landmarks and places to go when on vacation there. Today we will try to give you some guidelines and useful advices about where to go in Croatia and more especially when outside is summer and the opportunities for entertainments abound. 1. 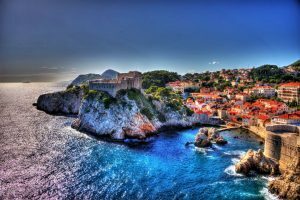 Visit the Pearl of the Adriatic – Dubrovnik! This place is really amazing with its wonderful castles, fairy small houses, marble streets and incredible atmosphere… Try the Croatian cuisine! You will be pleasantly surprised by the tasty dishes and delicatessen to which you can enjoy by visiting some of the unique and cozy restaurants. While having a dinner or launch, you will be able to admire the breathtaking sea views and sunsets too! Probably this is the most visited park in Croatia, as this fact doesn’t surprise anyone… If it is a huge pleasure for you to be among the beauty of the nature, consider that this place will fill your soul with many positive feelings! By visiting the Plitvice Lakes National Park you can see amazing silvery waterfalls that are 92 of number, 17 emerald lakes, many mountain caves and magnificent forests that create a sensation of calmness in everyone! In the reserve there is a variety of eco-paths and different routes, as each of them has a degree of difficulty (half-hour to eight-hour hikes). Do not worry that you may get lost in this lovely park! Everywhere there are signs with directions that will help you to find the way back or some desired point.